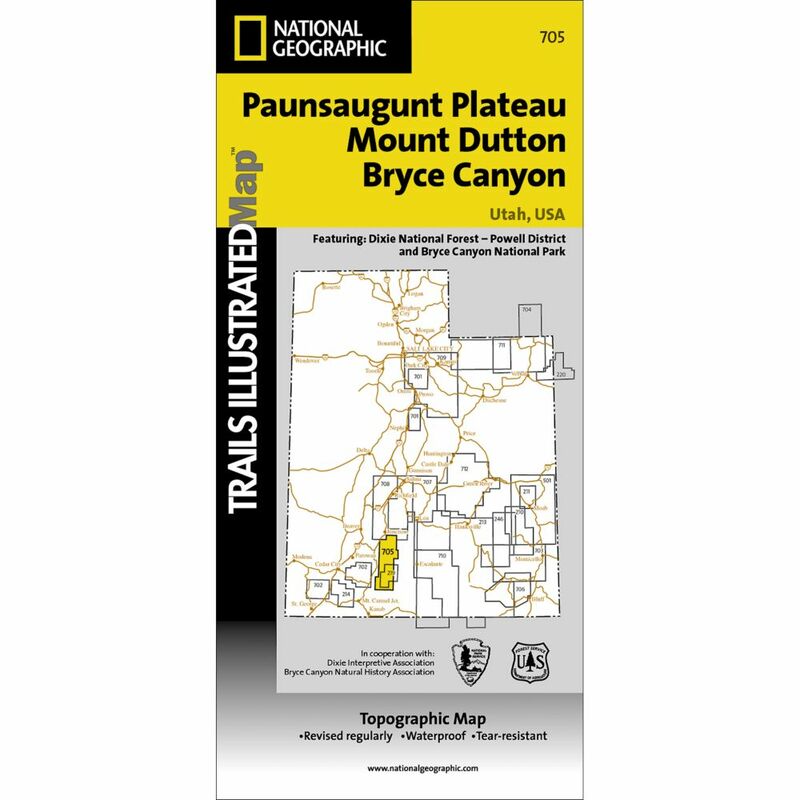 This map covers the spectacularly scenic stretch in southern Utah of the Powell and Escalante Ranger Districts of Dixie National Forest—from Bicknell Bottom State Wildlife Area in the Northwest to the town of Panguitch in the Southwest. Key features are the Great Western Trail, a corridor of braided trails that form the backbone of Utah’s trail system, and the Fremont OHV Trail, with diverse terrain and scenery. 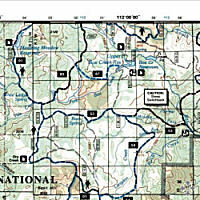 The map also shows Red Canyon Recreation Area—where campers can explore the Red Canyon Rim Trail and canoe and fish at Greens Lake—and Box-Death Hollow Wilderness (aptly named referring to livestock that plunged to their death crossing the steep canyon), where visitors marvel at the vertical, orange, sandstone walls cut by tributaries of the Escalante River. Another attraction featured is Otter Creek State Park, a great getaway for birders (during spring and fall migrations), ATV riders, and boaters. Trout fishing is popular in the high alpine Otter Creek Reservoir. The dramatic dinosaur-backed Escalante Mountains and the majestic Aquarius Plateau, the highest in North America, are also mapped. Flat Size 25" x 37"